Clubs, pubs or bars can benefit from SMS Marketing notably due to the characteristics of their audience. In this sector, we find usually young or middle-ages people who understand today's new technologies of mobile phone, internet and more... 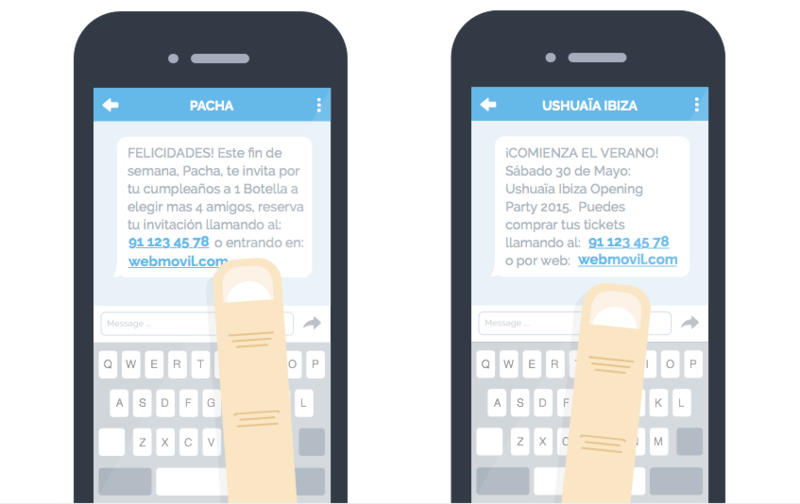 If the database increases and we take advantage of the features of those new potential clients, sending SMS with links that send the user to a mobile-friendly page, it is easier to fill the capacity of a venue quickly. I we ask consumers of these services about the most important qualities at the time of choosing between a venue or another, the answer will be: music, the treatment received and the price. CThe better the customer is treated, they will have a better experience and therefore look forward to repeating it. Take advantage of the resources offered by Instasent; sending text messages to carry out a good communication and loyalty strategy of the clients. Mobile coupons: Customers can receive a SMS through internet along with a link that leads them to a discount. Receiving offers always attracts consumer attention and it is a quick way to fill the capacity of a venue. Reservation confirmation: Send short messages to your clients confirming their reservations in lists. General information: You can give your customers information on the opening hours of the premises, as well as the terrace, new services, new openings or renovations, prices, deals, etc. Competition: Encourage customers through bulk SMS to register for special offers. Competitions serve to grow the database. Communication with all staff: Improve communication and organization of staff. Send SMS to either waiters, public relations, dancers, DJs, suppliers ... This will make it easier to manage shifts, schedule changes, etc. Using SMS, you can make a difference with the competition.